KTR Promotions in Venice Beach & Los Angeles California: What Will Be the Pick of the Week? The Venice Art Crawl, of course! What Will Be the Pick of the Week? The Venice Art Crawl, of course! Don’t miss it this Thursday January 20th….Start it off at Figtree’s Cafe (429 Ocean Front Walk, Venice, at Paloma Ave, two blocks south of Rose) with exceptional art, complimentary wine and a delicious happy hour. Meet internationally known artist Sona Mirzaei at Figtree’s (see attached image) before she’s off to her next exhibition at Hotel des Arts in San Francisco and then on to 2011 Elephant Parade in Copenhagen, Denmark. But Tonight, Wednesday, January 19, Now here’s a chance to get involved with your community, meet new people and make a difference in children’s lives. 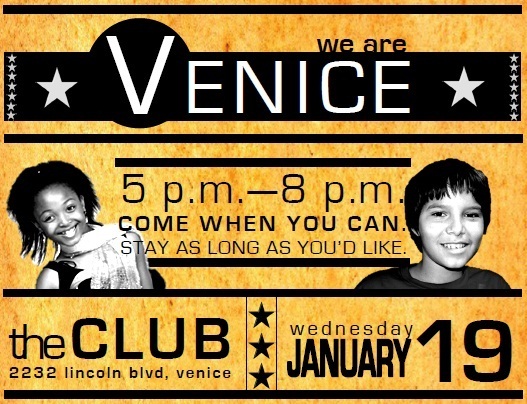 The Boys and Girls Club of Venice will be hosting a special event titled, "We Are Venice" from 5:00 pm till 8:00 pm. The event will highlight several areas of the Club, specifically, the 2011 Youth of the Year candidate for the national fine arts competition. Back to the PICK OF THE WEEK!!! The Venice Art Crawl…more info. 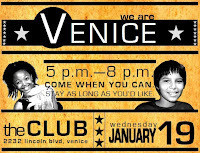 Tomorrow, Thursday January 20th happens to be the third Thursday…..Yeah, Venice Art Crawl time. If you have not been to a crawl, put on your walking shoes, and best party clothes. 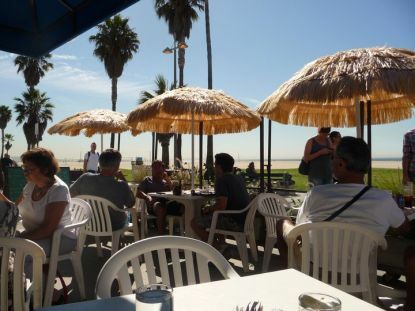 Venice locals unite…..do you remember the early days of First Fridays on Abbot Kinney? Just a couple of us out there…wandering around, searching for the next party. Things like this take time.There are just sooo many creative people here in Venice and we’ve got way more space to grow than on Abbot Kinney. Lots more room on the boardwalk with pop up galleries, all part of the Art Crawl. So spread the word. Start off the Crawl at Figtree’s for some tasty appetizers on happy hour such as Empanadas and Potato Latkes for as little as $3.50 and Quiche for $4.00. The bar will be open with drink specials and also complimentary wine will be served. Yippee! Come to Figtree’s and get your groove on with some live music with Rachel Pearl and inspiring art and phtotography from Helen K. Garber, who's work you can see above, Ivo Vergara, Sona Mirzaei and Stephen Romio. Castilla Collective will be showing their beautiful line of “rivieres” which will be on sale. The are beautiful free flowing scarves made from natural and manmade fibers. Believe me I know, I just bought one. There are some great Art Crawl events happening at Danny’s Venice on Windward, and across the street check out the Townhouse. Hotel Erwin, then hit 57 Market the Canal Club and that fabulous building with the gargoyles…..at 20 Westiminster. Make sure to stop in the Fruit Gallery on Westiminster and hit Reiter Photography in Gingerbread Court, The Sidewalk Café, and Ocean Blue…on your stroll down the boardwalk. 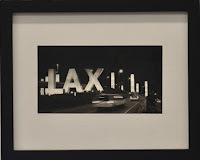 Santa Monica Museum of Art (at Bergamot Station 2525 Michigan Ave 90404) is having an opening from 7:00 pm till 9:00 pm. Now this is late for Bergamot. There’s actually time to catch a happy hour before hand. www.smmoa.org 310 586-6488. Or you may want to stop in to hear some FREE music and poetry with The MoZaic Children at The Talking Stick’s 9th annual Dr. Martin Luther King Jr. Birthday Celebration this Friday January 21st. The Talking Stick Coffee Lounge is located 1411 Lincoln Blvd. Venice 90291 from 7pm on. This FREE event will honor Dr. Martin Luther King Jr’s amazing life with Art, Music, Poetry, Comedy, along with footage of his historical speeches. Saturday, January 22nd…..there is just too much to do on Saturday. How will we do it all? Venice Arts Gallery is having an opening reception for Peter Louis Bonfitto’s latest exhibition “Off Grid” from 6:00 pm till 9:00 pm. Located at 1702 Lincoln Blvd, this exhibit runs through Feb 2nd. 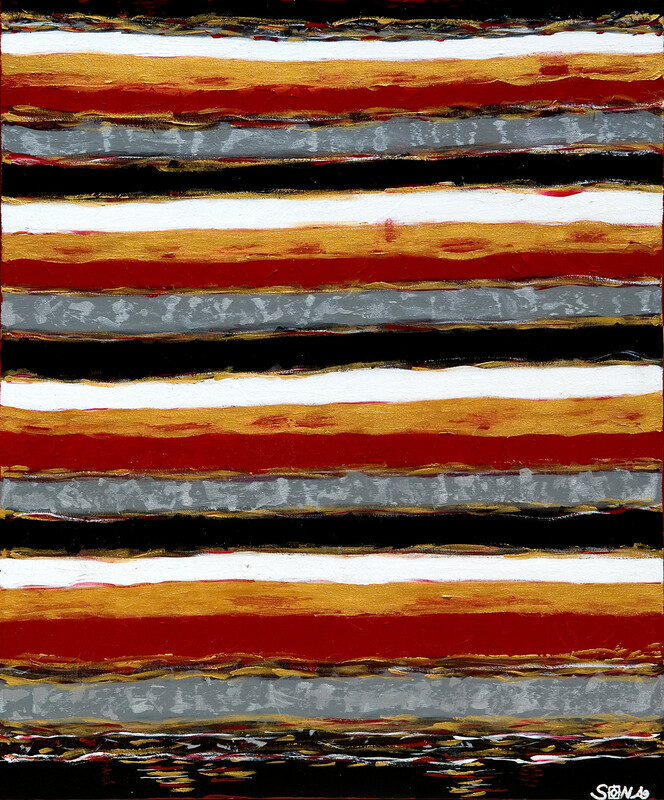 Fusing images from his travels and studies with symbolic materials and recycled items, Peter Louis Bonfitto attempts to bring modern relevance to ancient themes. 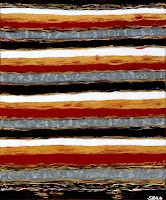 Off Grid is an exhibition of Peter's recent work in collage and sculpture. As always, Bergamot has a couple openings….at Luis De Jesus Los Angeles F-2 from 6:00 pm till 9:00 pm and Copro Gallery T 5. This one goes much later from 8:00 pm till 11:30 pm. Very late for Bergamot. In case you don’t know, it’s located at 2525 Michigan Ave., 90404. Complimentary Wine. deyermond art + books is having a Polaroid Party and exhibition! Starts at 8:00 pm…..with no end time…so who knows? They always offer wine/beer and sometimes the hard stuff. 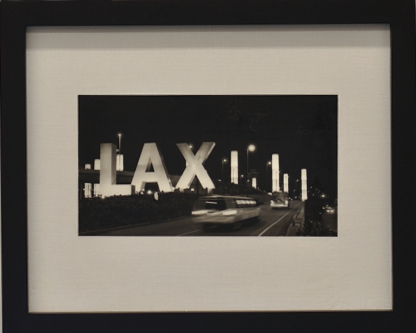 deyermond art + books is located at 2801 Main Street, Santa Monica, 90405.